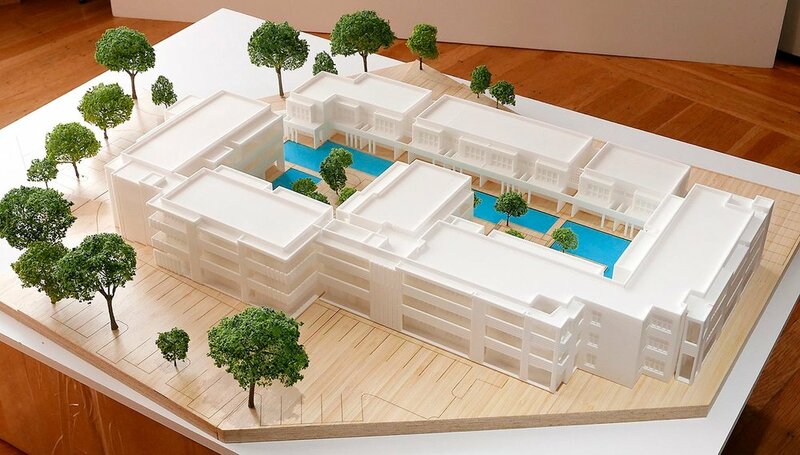 Model Maker Studio builds amazing architectural models that give tangible dimensions to your projects. 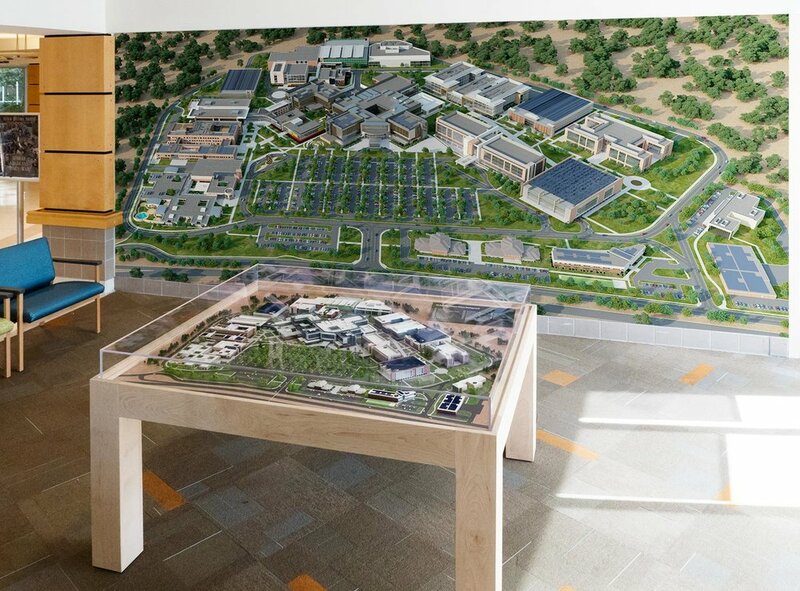 This large architectural model shows how the current VA Palo Alto Campus will look in 2030 once all the new buildings and site changes have been completed. At 1:480 or 1" = 40', the actual sizes of the structures are very small, most are around 2" tall. Therefore the decision was made to start by digitally creating everything. This allowed the client to preview the design and give feedback on the model as a whole. 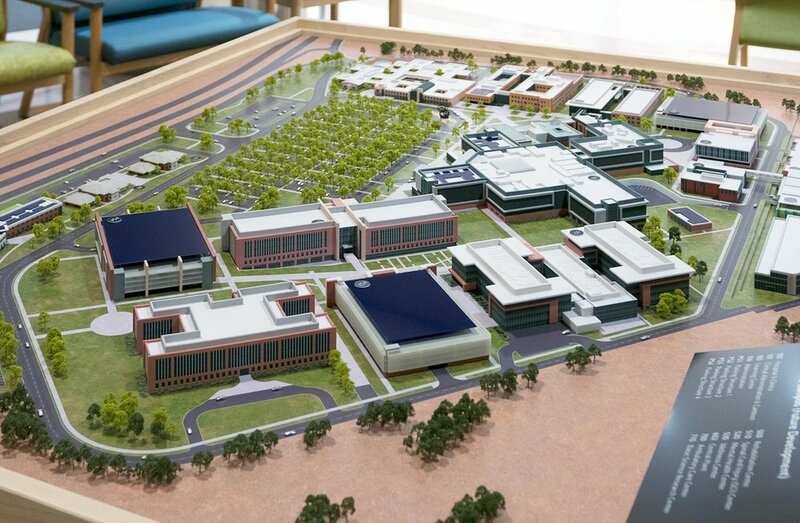 Many of the buildings were still going through design changes while the model was being made. The structures were then 3D printed to achieve the structural, architectural, finish and color detail not possible with traditional model making techniques at this scale. 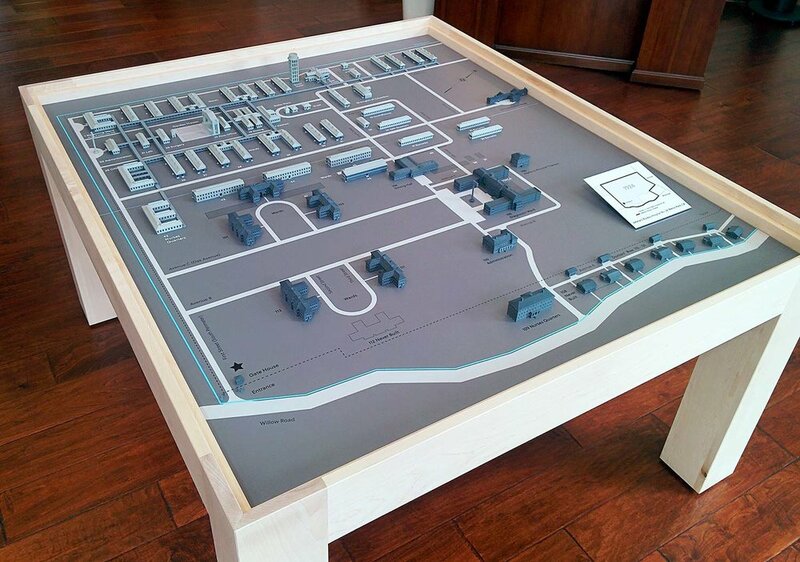 The site plan was also digitally designed and printed for a full range of colors and textures with sharp detail.